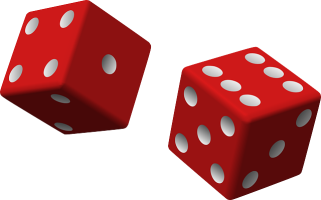 If there’s one thing every genuine gambling expert can agree on, it’s that there is no way to gain a mathematical edge over the house at the craps table. Even if you manage to find the rarest-of-rare tables with 100x odds, the casino will still have a slight edge of 0.021%. But that doesn’t mean there aren’t other ways to gain more than you lose. Professional gamblers have been exploiting casinos for comps for years now. Whether it’s a weekend stay in the penthouse suite, a comped meal at the buffet, or free entry to a valuable tournament, every comp has equity. And if that equity happens to be more valuable than your casino losses, it’s the same as a win. As we all know, blackjack, when played with precision strategy, grants the lowest possible house edge. It takes a good deal of mental focus to do it though. Baccarat has a decent edge of 1.06% on Banker bets, but could your gambling foray be any more boring? Instead, you can get similar returns, with much greater entertainment and comp value, at the craps table. Plus, you can do it while betting less than half of the time. This is a theory explained by Frank Scoblete and Dominator in their famous craps book, Golden Touch Dice Control Revolution. It’s a simple method of slow-playing the game for greater value. Players maximize table time while betting only on a shooter who is deemed “worthy”. According to their guidance, the 5-Count craps betting strategy requires a bettor not to place any wagers at all until the shooter has rolled at least 5 times. The player will watch and wait, without wagering, until a new shooter establishes their first point. This marks the first roll. Then, the player continues counting until the shooter’s fifth roll. If the fifth roll is not a point number, it does not count. Another roll must be made. Once the fifth (or more) roll is a point, the shooter is deemed worthy of betting on. The idea is that, once a shooter throws enough times, or multiple point numbers, without crapping out, bettors will gain confidence in their rolling abilities, subsequently giving them the confidence to bet with that shooter. Which bets you choose to place are up to you, although I’d suggest sticking with a good low-edge system, such as the Place 6 & 8, the 3 Point Molly, or the Iron Cross. Make sure that your wagers are of a decent size—not too expensive, but not entirely too cheap either. The idea is that the casino will reward you with comps based on your average bet size, taking into account the time you’ve spent at the table, rather than the time you’ve actually spent placing bets at the table. Your average should not be lower for the time you spend not betting; especially if the bets you are placing are of notable size. Using the craps 5 count betting system, you can expect to place wagers on 43.5% of all rolls. Renowned betting expert Michael Shackleford describes an “alternative strategy”, waiting until the shooter establishes and makes a point. This system reduces wagering to 40.6% of all rolls.